Steven Greene. This book is sold on amazon. Now you can download your copy for free below. Fortune 1000 Companies use surveys of all types to determine everything from customer satisfaction to whether they should open new retail outlets or offer new products. 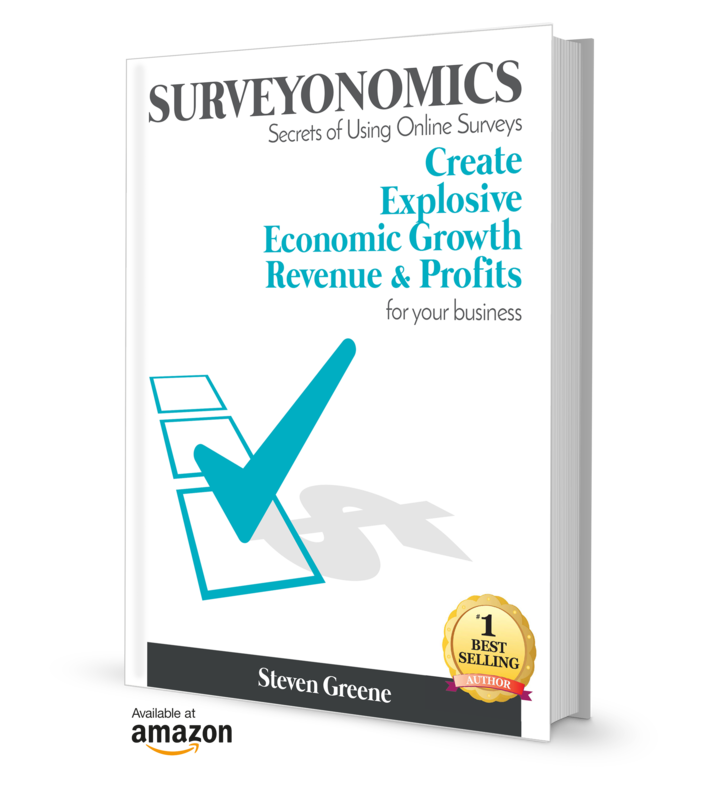 Proper use of surveys is an essential element for sustained growth and profits. Today, by employing readily available on-line tools and getting a good orientation as to how to proceed, most every sized business can benefit from surveys, because they save you money and time. The ROI is incredible. Whether you have a web based, internet, or brick & mortar business, whether you’re a small, at home, medium sized, or a multimillion dollar multi-location business, surveys are an effective tool that can immensely benefit your company. If you’re not using them, you should be.